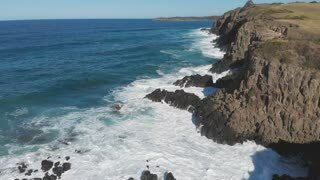 An aerial view looking down at the rocky New England coastline as waves crash on the rocks. 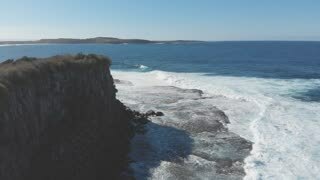 A high angle aerial view looking down at the rocky New England coastline with waves crashing on the rocks. 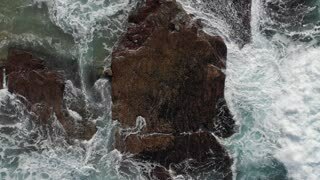 A rising aerial view looking down at the rocky New England coastline with waves crashing on the rocks. 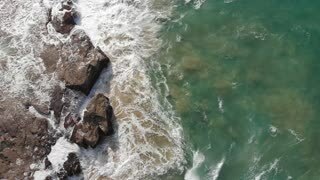 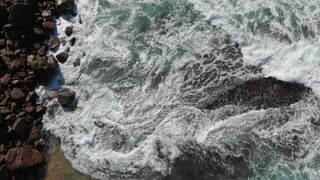 An aerial top down view above at the rocky New England coastline as waves crash on the rocks.